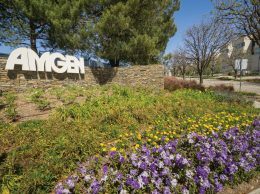 From its perch in Thousand Oaks, Amgen continues to be one of the savvier companies in the biopharma space when it comes to navigating drug policy and drug pricing. It continues to win the battle to keep copycat biosimilars from eroding its core franchises while gaining approval for new drugs – the latest is for Parsabiv, a treatment for chronic kidney disease. And it has escaped the harshest criticism from legislators as well as the nation’s Tweeter-in-Chief, President Donald Trump. Amgen’s fourth quarter report beat analysts’ estimates on revenue, and profits grew 13 percent in 2016, an impressive showing even as some of its core products come under pricing pressure from new competition. It has taken a look to the future of drug pricing by bringing the former chief financial officer at Wal-Mart, Charles Holley, onto its board of directors. Holley will provide valuable expertise on pharma pricing and the role of biosimilars as Amgen tries to navigate a potential new world for the way drugs are treated, particularly under government reimbursement programs. The company is such a major employer in Ventura County that a large part of the future of the Conejo Valley economy is linked to Amgen’s success. Few would have predicted that success when the fledgling biotech company was relocated from the East Coast decades ago. More recently, we’ve been impressed with the way the CEO Robert Bradway and his team have navigated a turbulent environment for drug pricing and drug discovery. The entrepreneurial tradition of the late Jack Nadel continues with a $1 million gift to Santa Barbara City College’s School of Business and Entrepreneurship. 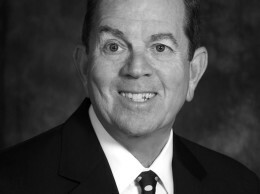 Nadel was a successful Los Angeles entrepreneur who flourished as an author and philanthropist after he and his wife Julie moved to the Santa Barbara area. The gift will result in the renaming of the school for Jack and Julie Nadel and will create an endowment fund as well as a business incubator. We applaud these efforts and look forward to hearing more about SBCC and its plans to create new programs. And we look forward to additional philanthropic initiatives from the Nadel Foundation’s growing legacy. It’s worth noting a milestone for the Port of Hueneme, which received its official designation from the U.S. Treasury’s Pacific Region’s Customs Service 25 years ago this month in February 1992. Designation of the port as an official Port of Entry began the recognition of the port as a hub for international business and trade. From that perspective, the Port of Hueneme has come a very long way in a very short period of time.